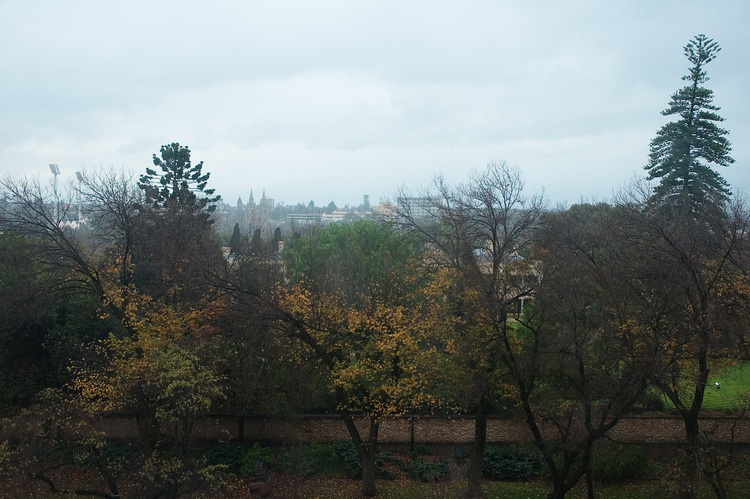 The view out the office window on a grey and drizzly day. The large grounds and house in the middle-foreground are those of Government House, Adelaide — the residence of the Governor of South Australia (a non-executive role). Details: Nikon 18-70mm, 27mm, 1/80s, f/8, ISO 200.